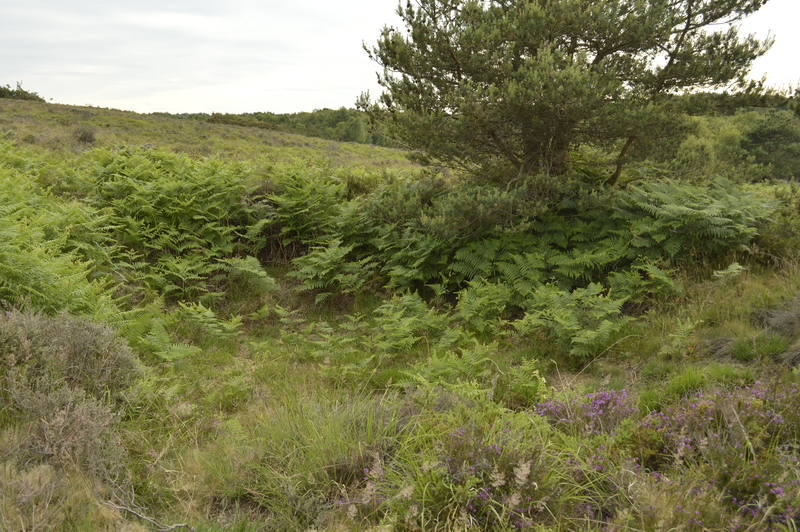 After work today I met my husband at Chobham Common for a guided walk with a ranger about Cows and Calluna, learning about the importance of conservation grazing on this rare heathland environment. We were surprised to find that we were the only people there for the walk, so we had a bit of a treat with a private guided tour. 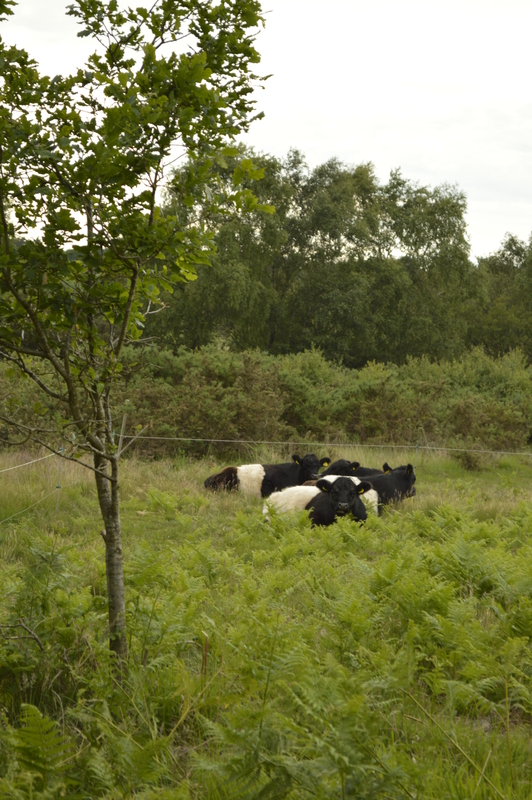 Some of the Belted Galloway cattle were being very obliging, and had stopped in full view of the path as close as possible to the car park where we started from. 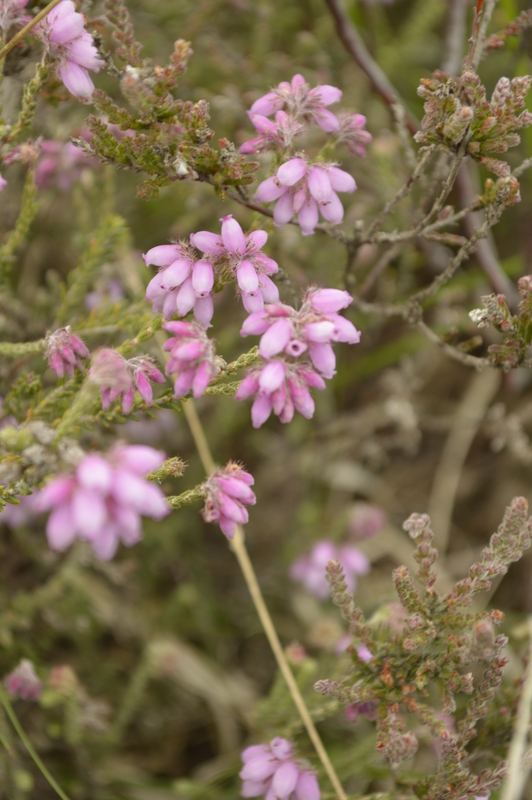 We spent some time looking at the three different types of heather found on the heath: ling (calluna vulgaris)heather, cross leaved heather and bell heather. 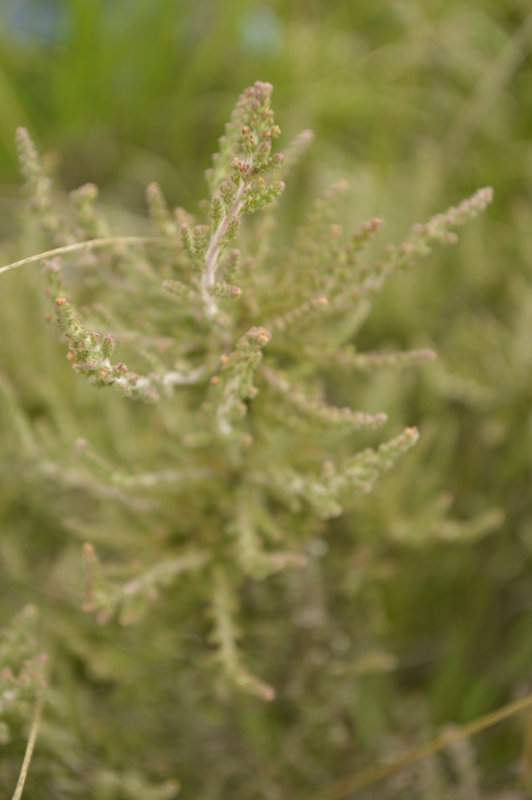 The bell heather was in bloom but it won’t be until August that the common is carpeted in purple from the calluna flowering. 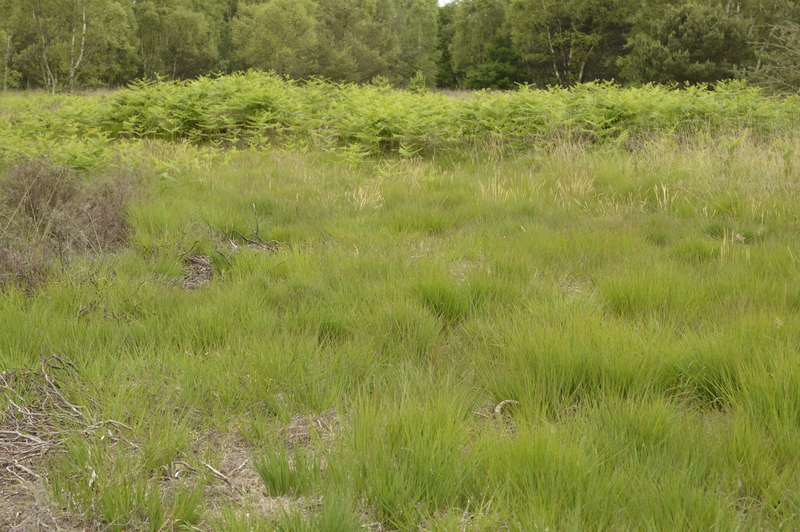 We wandered the heath, talking about the different conservation strategies used to maintain the heathland environment- grazing, burning, clearing to bare ground, cutting down scrub and trees to allow the heathland plants to thrive. It was interesting to see the different patchwork of habitats provided in this way. We heard stonechats singing and watched one flutter from high point to high point, declaring their territory. 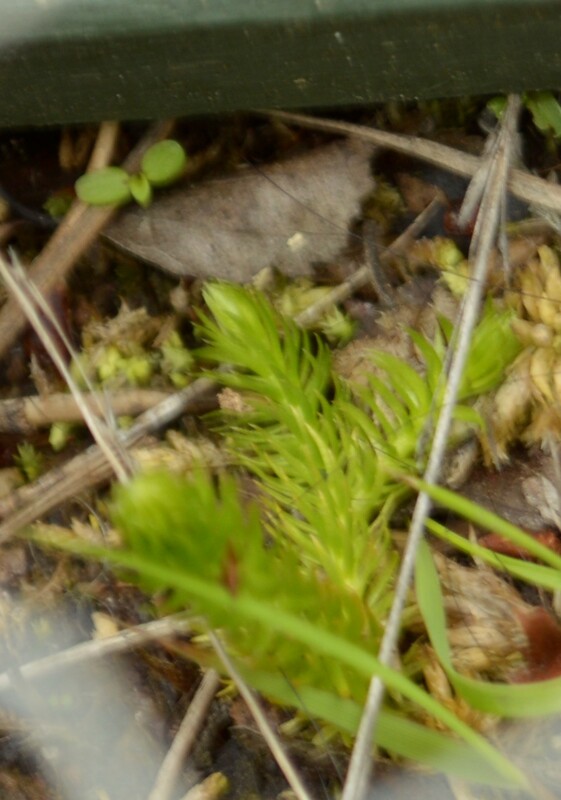 We ventured down into the bog line, in one of the grazing areas, to look at the rarest plant on the heath, club moss, just a tiny clump of it, protected by its own little box, to stop the cows from trampling it. 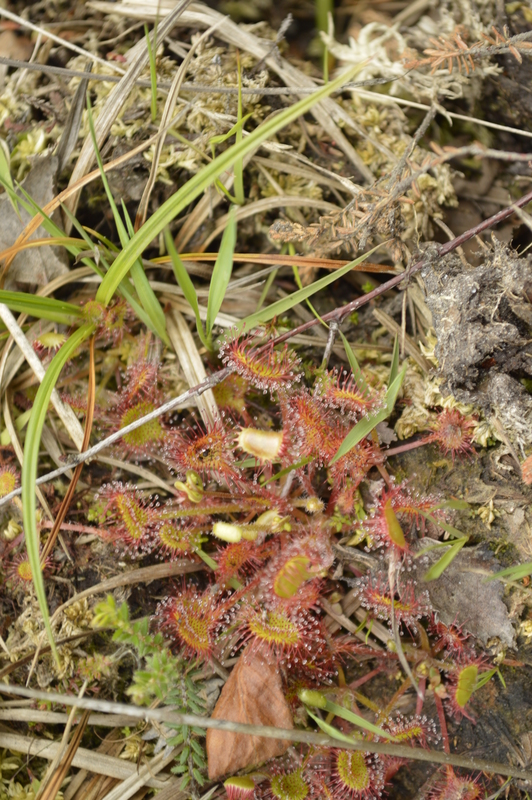 In the bog line we also saw sundews, sap glistening on them. I’d never seen sundews before, so this was really exciting. We also looked at some of the different types of grass on the heath and how there was a much greater variety of species next to the paths and closest to the entry points on the heath, where the soil is improved by the additional nutrients from dog and horse poop, and new species are carried onto the common on people’s clothing and shoes. 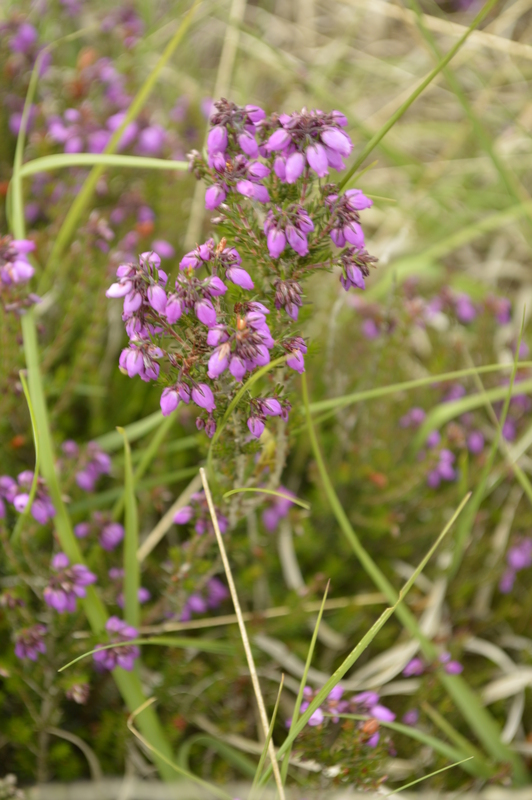 We saw Yorkshire Fog, beautiful and bluey purple, molinia, or purple moor grass, which can dominate but is kept in check as an important part of the heath ecosystem by the grazing of the cattle, as well as bristle bend and other species. 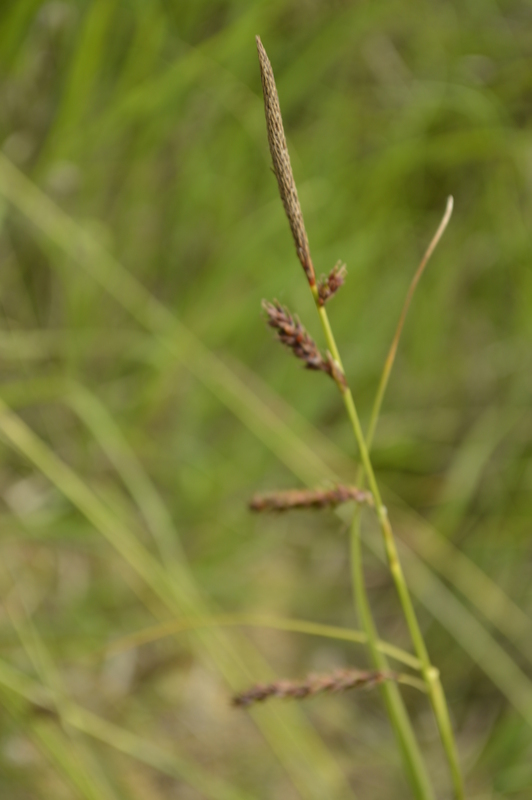 The grasses are so varied and beautiful once you start looking at them in more detail. 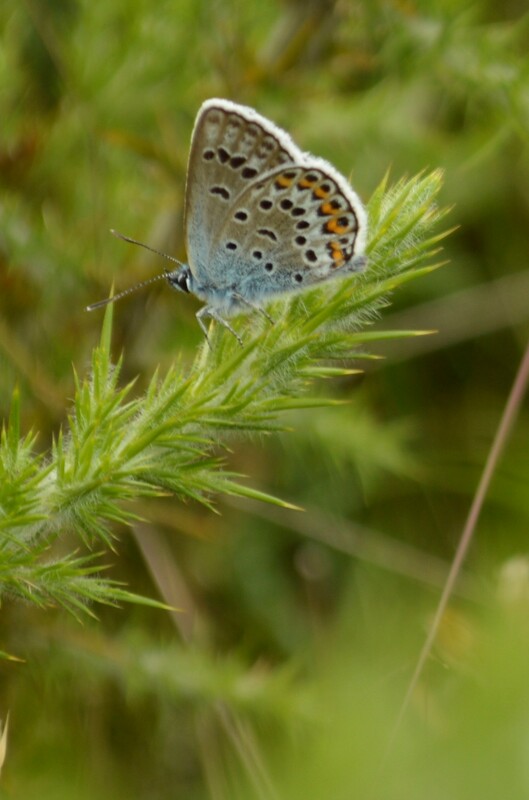 We saw a silver studded blue butterfly, beautiful! 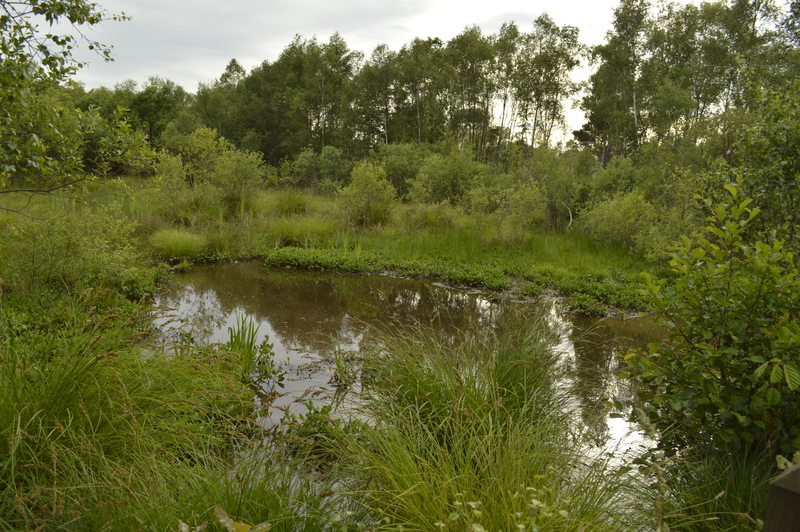 We also talked about the military history of the common, the ponds that are dug along the bog line and then left to gradually fill with plants and dry up to provide a mosaic of habitats, filming that happens on the common (lots of carry on films) and even the rare ants found there. 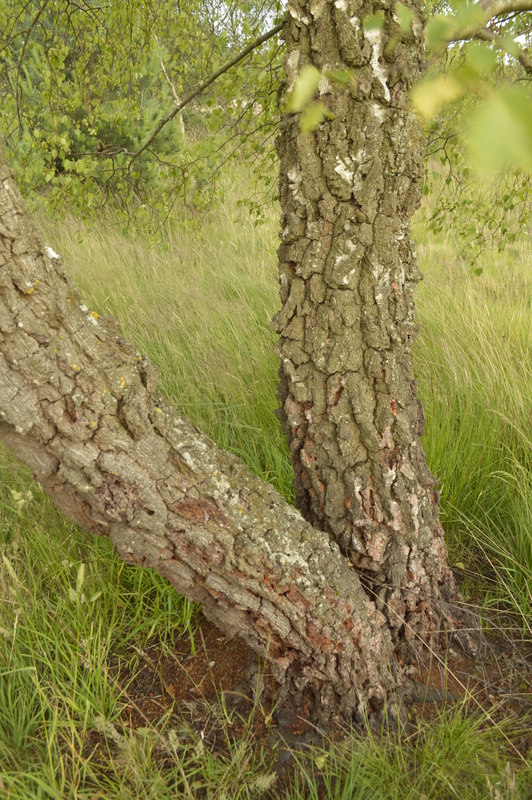 One of the interesting things we saw on the common was this tree, which was the home of goat moth larvae. We had a really interesting and informative evening on the common, it was great to do something “wild” on the way back from work.